Double Trouble Oxalis | Gurney's Seed & Nursery Co.
Add color and beauty to your perennial borders or rock gardens with a truly beautiful plant that begins with soft green, feathered foliage and vivid pink buds. 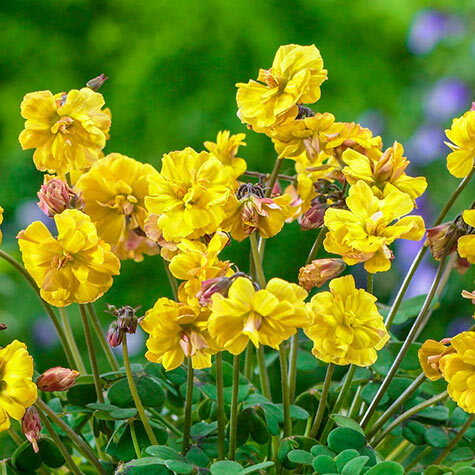 In mid to late summer, the buds open to reveal bright golden, double blooms that give this oxalis a totally different look. Growing to only 6-12" tall, the showy flowers and attractive foliage of this perennial it the perfect ground cover, too. Winter hardy in zones 7-9, but can be lifted in zones 3-6. Better yet, plant Double Trouble in decorative containers and bring them indoors to extend your enjoyment throughout the colder months of the year. Naturalizes beautifully, increasing in vigor and bloom in each subsequent year. This is an easy-to-grow variety that tolerates many types of soil, so long as it is well drained. Prefers full to partially sunny sites. Color: Pink buds open to reveal bright golden, double blooms that give this oxalis a totally different look. Foliage: Soft green feathered foliage. Zone: Winter hardy in zones 7-9, but muxt be lifted in zones 3-6. Better yet, plant Double Trouble in decorative containers and bring them indoors to extend your enjoyment throughout the colder months of the year. 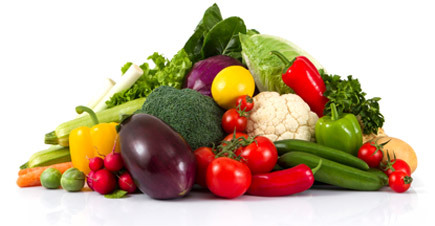 Soil Requirements: Tolerates many types of soil, so long as it is well-drained. Comments: Buds open to reveal bright golden, double blooms. Growing only 6-12 inches tall they increase in vigor and bloom each subsequent year. Excellent container plant is easy to grow. Prefers full to partial sun. Hardy in zones 7-9. Bring container indoors over winter months in zones 3-6.